Toyota Land Cruiser Diesel is an off-road fantasy which is well known for giving a remarkable experience of a smooth ride on a bumpy path. The Land Cruiser’s reliability and longevity has led to huge popularity everywhere but, especially in Australia where it has been proved as the best-selling body-on-frame, four-wheel drive (4WD) vehicle. This Diesel vehicle has a strong engine and comparatively longer engine life than a conventional petrol vehicle. That is the reason Toyota Land Cruiser Diesel gained more popularity. Go anywhere in the world where the roads are rough, and you’ll come across Toyota Land Cruisers either “Petrol or Diesel”. In most corners of the globe, multiple Land Cruiser models abound, workhorses that traverse mountains, deserts, tundra and mud. 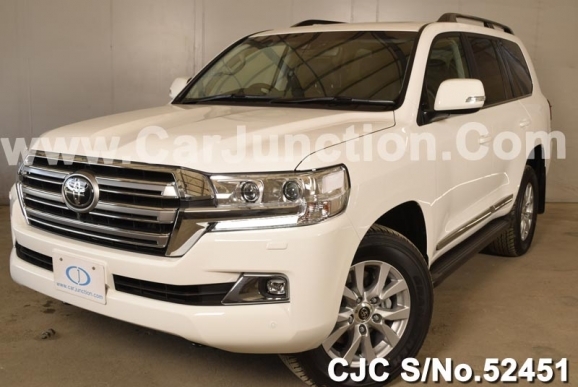 Toyota believes in continuous innovation so Land Cruiser receives several new standard features and gadgets in its every new model. According to researches, Toyota Land Cruiser Diesel sells better than petrol. For 2016, Land Cruiser has gone through precision. It receives a new front end, with projector-beam LED headlights with integrated cleaners, power bulges on the hood and new LED brake lights with signature light-tube running lights. Eighteen-inch alloy wheels are standard. The days of Land Cruiser’s rough edges disappeared long ago. The current vehicle has an air of sophistication, luxury and style worthy of flagship status for the Toyota SUV lineup. In the United States, Toyota gets just one version of the 2016 Toyota Land Cruiser. Features a near-luxury interior, sophisticated electronics and shiny good looks, and it’s still a workhorse, eager to conquer rough terrain when the mall parking lot proves too refined. When it comes about purchasing a “Land Cruiser”, used one also could be a good option in terms of low price. Car Junction is a leading exporter of both left hand and right hand used vehicles from Japan to almost all African and Caribbean countries in addition to some Asian and European countries. Left-Hand vehicles are exclusively exported to West African region, especially Ghana, Nigeria, Liberia, Cote D Ivory, Senegal, Mali, Burkina Faso, Benin, Angola, Cameroon, Djibouti, In Asia left-hand cars are used in Laos, Cambodia, Vietnam and Philippines. In West Africa, people prefer Japanese cars. Toyota and Nissan are the most popular brands. Toyota Rav4, Toyota Highlander, 4Ruuner, Tundra, Land Cruiser etc.